Pefkos and Pefki. Pefkos is a surprisingly nice seaside resort on the Greek island of Rhodes. 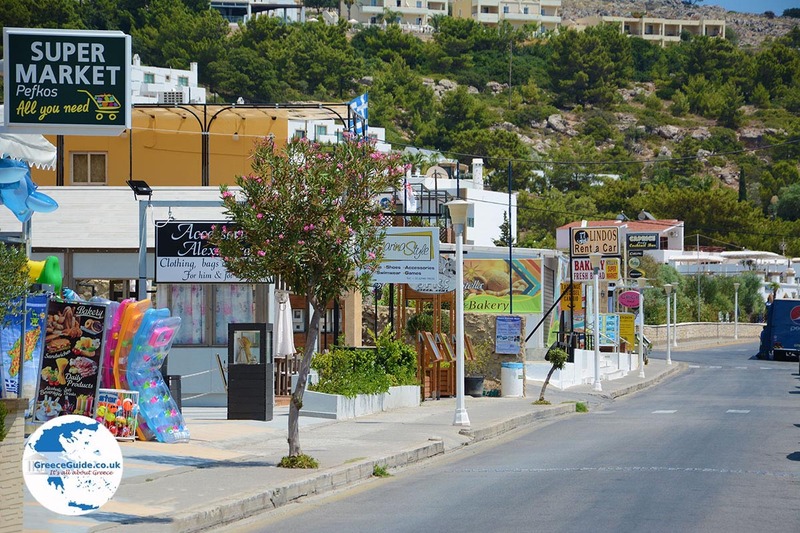 In earlier times it was a typical fishing village, but it has developed a tremendous tourist trade in recent decades. Greeks also call it Pefki. The name given to the village refers to its many pine trees (pefko = pine). 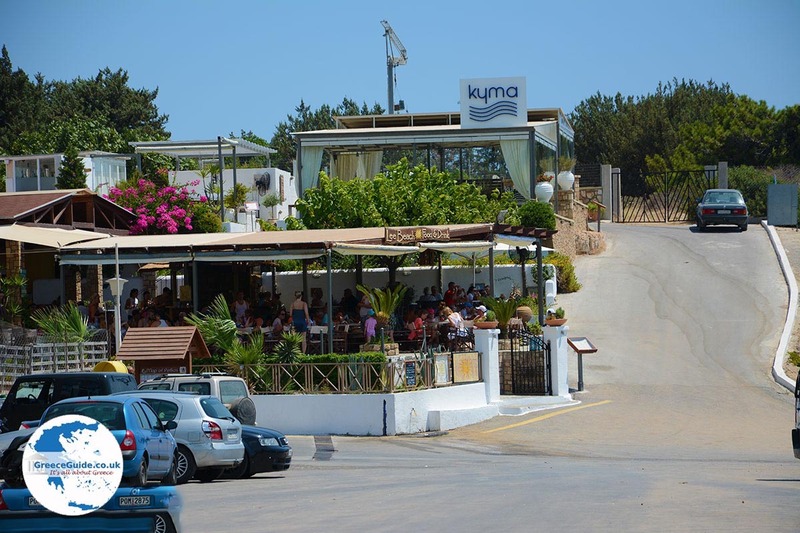 Pefkos is located five kilometers (3 mi) southwest of Lindos and 51 kilometers (30 mi) from Rhodes town. 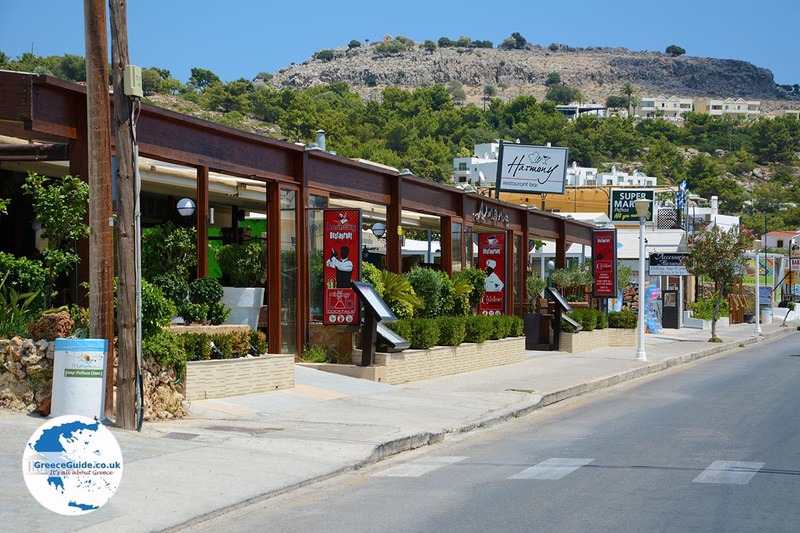 It is a nice village with many shops, restaurants and cafeterias. 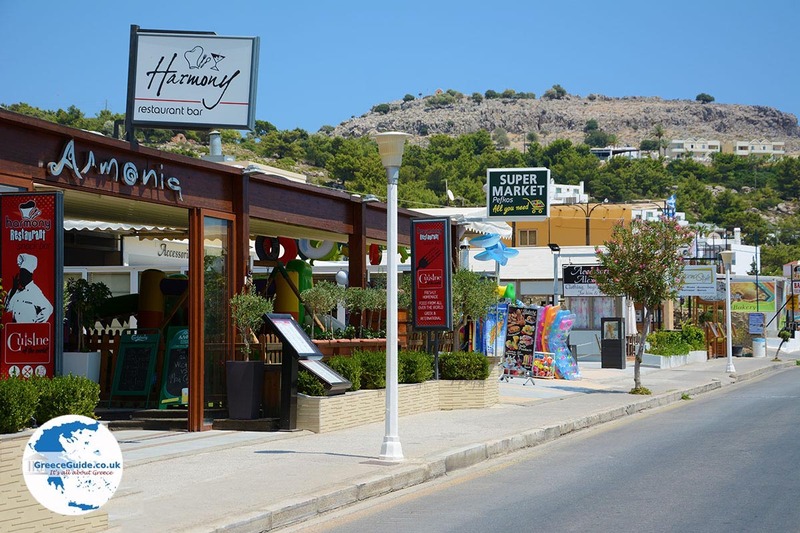 There are many hotels, large and small, as well as resorts. The lovely sandy beach is well organized and offers all kinds of water sports such as jet skiing and boat rentals. The central beach is very busy in high season. 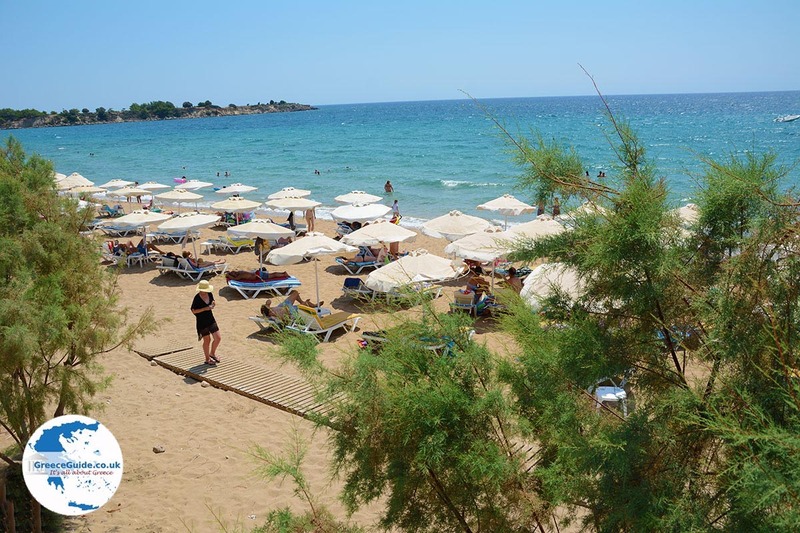 If you want quieter beaches, walk a little further, on both sides of the central beach to reach Aghios Thomas Beach and Limanaki Beach. Also, bring your mask and snorkel because there are many small caves to explore. Lindia Thalassa Studios And Apt. 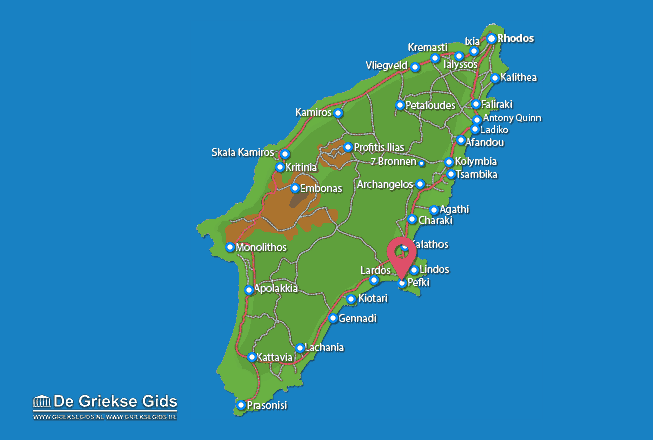 Rhodes: Where on the map is Pefkos located?